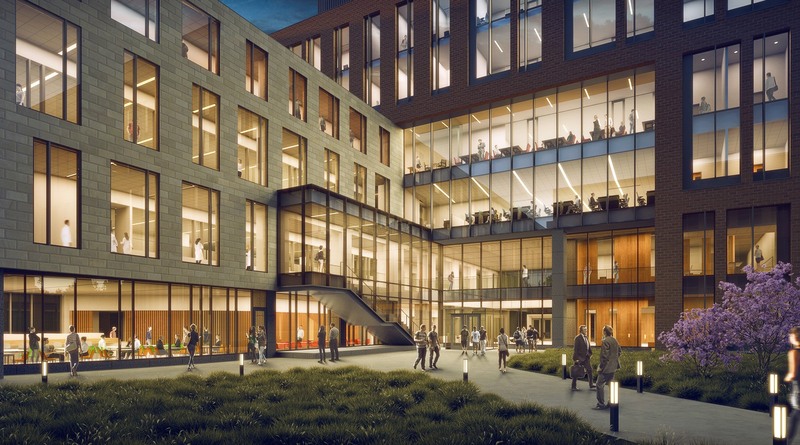 University of Kentucky answers state-wide initiative to improve health with ground-breaking interdisciplinary facility. The University of Kentucky is the flagship university for the Commonwealth of Kentucky, and is one of only eight public institutions in the U.S. with colleges of Agriculture, Engineering, Medicine, and Pharmacy on a single campus, the University of Kentucky has a lot of potential for innovation and discovery embedded into its culture. This potential is being realized in a new and ground-breaking initiative focused on solving Kentucky’s most invasive health issues, such as diabetes, obesity, drug use and heart disease. In 2015, the Kentucky General Assembly approved $265 million for the university to build a multi-disciplinary health science research facility. 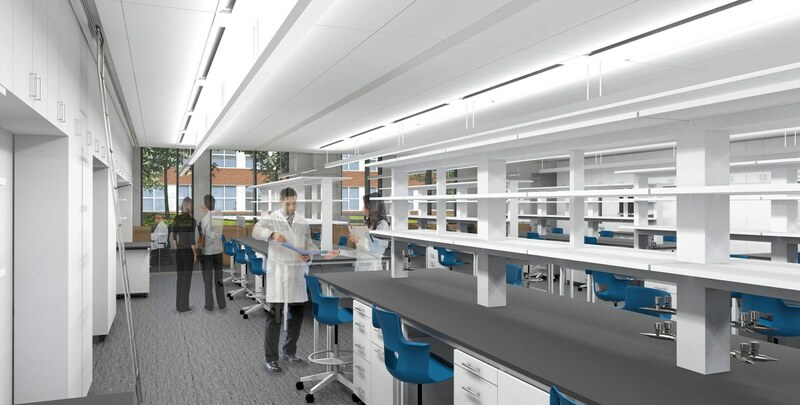 The university envisioned a massive “workhorse” of a building, filled solely with wet labs for research. During the design process HGA, in partnership with Champlin Associates and Jacobs Consultancy, asked the university to tap into what was at the heart of many of these health issues they were trying to solve. 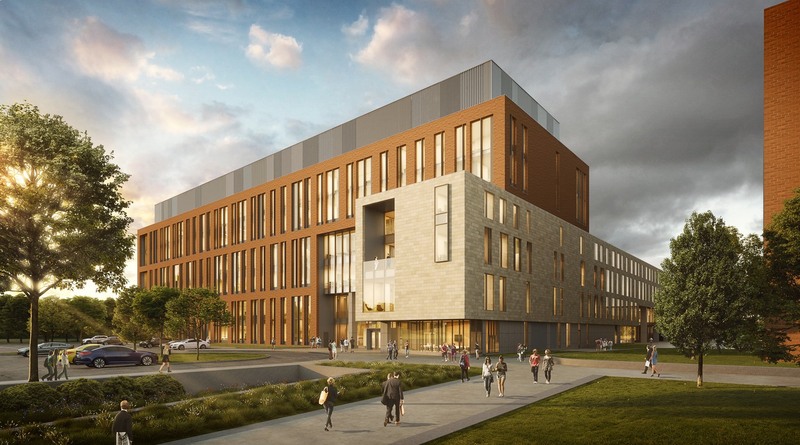 University leadership found that all of the health problems the research building intended to address are complex disease types that require a number of different disciplines working in concert to develop solutions. This realization fundamentally changed the design of the building and reinforced the need for interdisciplinary research environments. The programming was adjusted to be two-thirds wet lab space and one-third dry lab, computational space, allowing the University of Kentucky to expand the number and type of potential users and tenants.